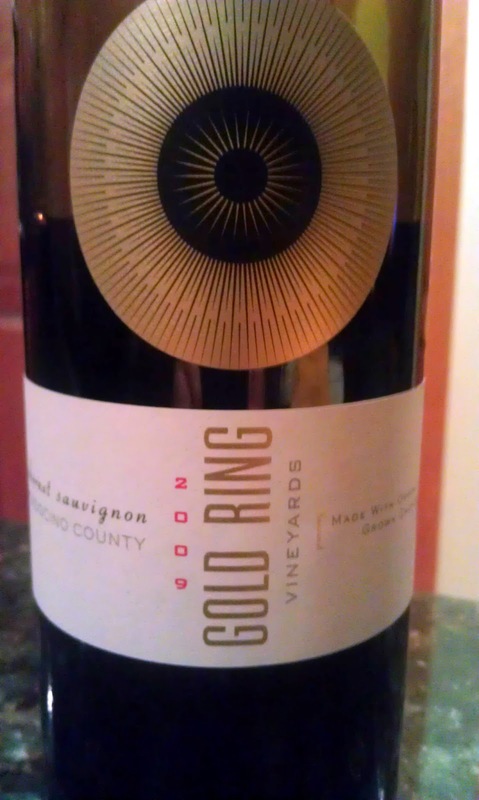 The Board affirmed a Section 2(d) refusal to register the mark 5 GOLDEN RINGS for "beer; malt liquor," finding the mark likely to cause confusion with the registered mark GOLD RING for wines. The Board deemed the marks to be similar in sound, appearance, connotation, and commercial impression, and third-party registration and Internet evidence convinced the Board that the goods are "closely related." 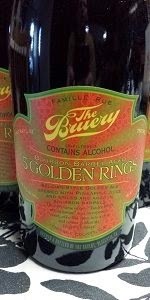 The Bruery, LLC, Serial No. 85656671 (September 24, 2014) [not precedential]. Applicant submitted a Wikipedia entry for the carol, "The Twelve Days of Christmas," arguing that the phrase "five golden rings" engenders a different commercial impression than the cited mark GOLD RING because the former is "so intrinsically associated with Christmas that it is difficult to read it without elongating the vowels." Unfortunately, applicant submitted that bit of evidence with its appeal brief, and the Board sustained Examining Attorney Natalie Polzer's objection that the submission was untimely. The Board found that, considering the marks as a whole, the addition of the number "5" and the pluralization of "rings" in the applied-for mark were insufficient to outweigh the similarities in the marks. As to the goods, applicant contended that consumers would not be easily confused between its craft brewed products and registrant's wine. The Board pointed out, however, that the issue is not whether consumers would confuse the goods, but whether they would be confused as to the source of the goods. Moreover, applicant's identification of goods is not limited to "craft" beer. Finally, applicant maintained that wine and craft beers are rarely purchased on impulse and that consumers of these goods are highly educated [really?] and able to distinguish different brand names. The Board perceptively noted that not all consumers of these goods are highly educated. The goods may be inexpensive and purchased by the public at large. Moreover, consumers who are sophisticated and knowledgeable about alcoholic beverages are not necessarily sophisticated or knowledgeable about trademarks. [And what about consumers who have imbibed an alcoholic beverage, and are then less careful about the next purchase? - ed.]. Considering the pertinent duPont factors, the Board found confusion likely, and it affirmed the refusal. TTABlog note: Had applicant submitted the Wikipedia evidence in timely fashion, would that evidence have made a difference? Or is this like the recent PURPLE HAZE case, where the Board observed that those consumers who were unaware of the Jimi Hendrix classic would find the mark confusable with SUNNY HAZE? Shouldn't the Board (and the Applicant) have addressed whether there is "something more" present in comparing the marks and the goods? I think the applicant could have made the point about The Twelve Days of Christmas without submitting any evidence to prove the existence of the song. 'Scuse me while I kiss the sky . . . Regarding Erik's question, I believe the "something more" test is required not between different types/classes of goods, but to make the cross between goods and services, such. Coors 343 F.3d 1340 (2003) concerned beer and bars/restaurants. waiter: would you like a beer or some wine? waiter: one is beer and the other is wine. I agree. Beer and Wine are NOT related!! Hopefully, the TTAB will enter the real world someday. The question isn't whether consumer would confuse the goods. The question is whether consumers would be confused regarding the source of the goods. The evidence in this case included evidence concerning actual use of the same mark, by the same entity in connection with both wine and beer. If these goods really aren't related in the real world it seems that the applicant would have been able to show that pretty easily. It didn't. I inadvertently deleted a comment this morning. Would whoever posted it, please do so again. The applicant filed for beer and the cited mark was for wine. There was no evidence showing the applied for mark in use for both beer and wine. The examining attorney just submitted some third party registrations showing some people have registered a mark for both beer and wine. There was no analysis by the Board. They just accepted that if any goods are registered under the same mark they are related. Under that assumption, one can argue everything is related. Thus, in the real world people can show things are not related, but in TTAB world it is now impossible. Another area this happens is clothing and cosmetics. When an examiner wants to make a refusal all they have to do is say that there are companies that have registered a mark for both. Obviously, it is more complex than that but Board does not view it that way and it has the final word. You can't take an ex parte appeal to District Court. I think this issue is not one that works in an ex parte case. The issue should be determined in an inter partes proceeding.. Yes, you can seek review of an ex parte TTAB decision, by way of civil action under Section 1071. Under United States trademark law for there to be a likelihood of confusion, the parties' marks must be similar and must be used with related goods and/or services. There is no requirement whatsoever that the parties must be using their marks with the same goods in order for there to be a likelihood of confusion. Also, the evidence submitted by the examining attorney did include third party registrations (a lazy practice that doesn't really show goods/services relatedness). The evidence also included, look for yourself (I did), Internet evidence that shows actual uses by companies that use the same mark on both wine and beer. I imagine that the Board found the examiner's Internet evidence far more compelling than the third party registrations. The problem is the TTAB says if just a few companies use a mark for both wine and beer - they are related. You cannot refute that by showing it is far more likely that different parties use the same mark on wine and beer. For an ex parte proceeding you can go to USDC after the TTAB has ruled, but in an inter partes proceeding you can sometimes skip the TTAB altogether (if not ITU). I think not being able to include the Wikipedia evidence here was crucial. Compare this decision with: http://ttabvue.uspto.gov/ttabvue/v?pno=85744747&pty=EXA&eno=10 -- where the Board recently reversed a refusal finding no likelihood of confusion for marks covering "beer" and "wine." There are thousands of registrations for beer, and thousands more for wine. There are 30-40 registrations that feature both beer and wine. I agree. It is easy to do a search for marks that cover both beer and wine. Surprisingly there are not really that many - Erik says 30-40. Which is exactly why they are not related! In a surname case 30-40 instances of a name would be considered "rare." I would think 30-40 in a world of tens of thousands would mean they are not very related for trademark purposes of confusion. Is there an easy way to search for nearly identical marks registered for beer and wine, but by different owners? I will certainly try some of Eric's arguments the next time this pops up again. And it will!